Now that my daughter has moved across the country, there will be some traveling in my very near future. 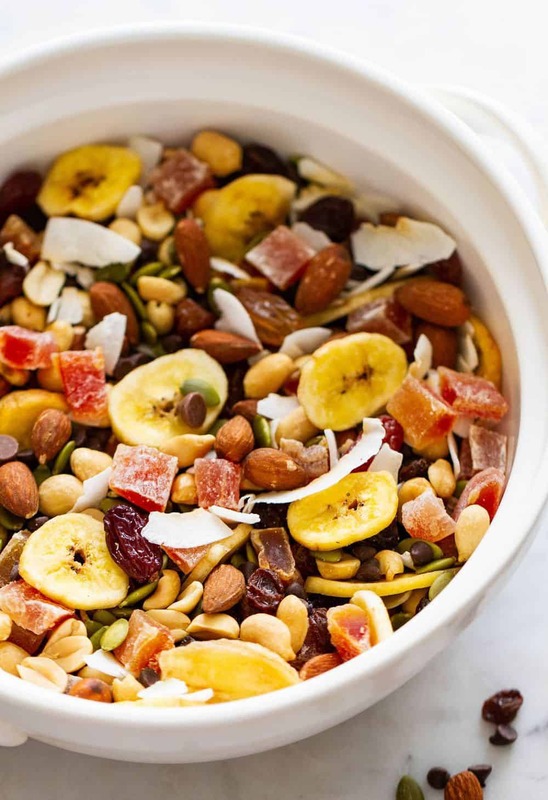 In comes this Almost-Everything Trail Mix recipe, loaded with a healthy mix of dried fruits and nuts, to take along for snacking. Inspired by both Target’s, A Handful of Everything Trail Mix, and Sprouts’, Everything Trail Mix, I set out to create something similar. 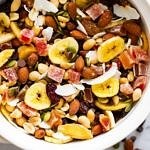 My version is pretty close, minus an ingredient or two, so I’ve dubbed it the, Almost-Everything Trail Mix. 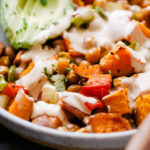 What it is, is a delicious mix of flavors and textures that can be changed up to suit your taste. These are some of my favorite dried fruits and nuts for trail mixes. 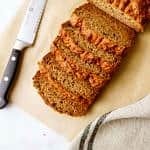 Feel free to add, subtract or substitute any of the ingredients using cashews, dried pineapple, apricot, cranberries, dates, pretzels and/or cocoa nibs. Any of these would be great! For the ingredients that weren’t on hand, I picked up from the bulk bins at Sprout’s. Bulk bins are great for letting you get just what you need. Be sure to find bulk bins that have high turnover and replenish often. That way you can be pretty certain the ingredients will be fresh. 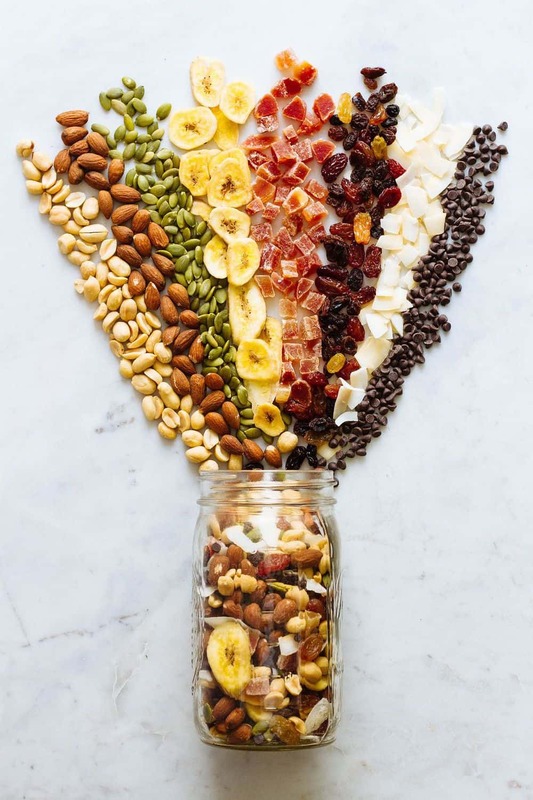 Healthy Tip: As a rule, to keep your trail mix healthy stick with using unsalted nuts, along with unsweetened and unsulfured dried fruits as the base. Adding in one or two, salted or sweetened, ingredients is ok. Just try to be mindful and you’ll do just fine. 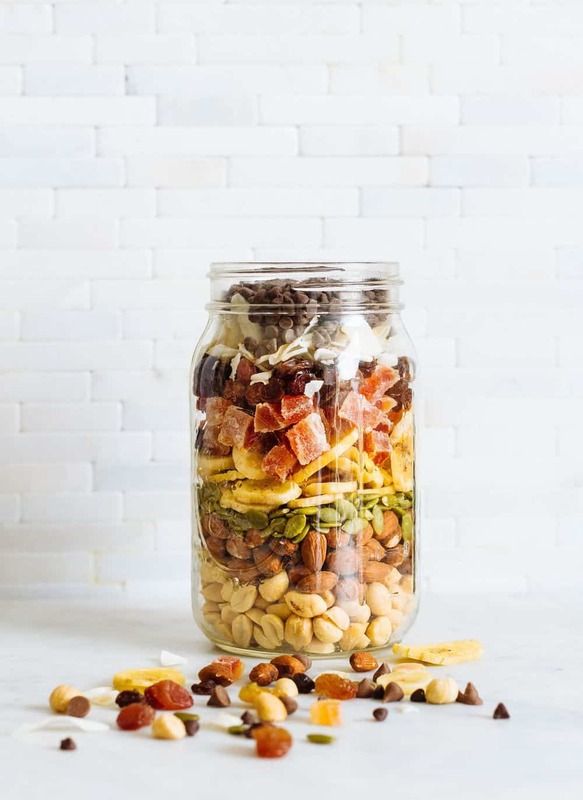 Once you’ve sourced and gathered your ingredients, the rest is easy as can be and your trail mix will be ready in under 5 minutes. 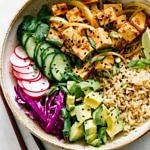 Simply measure the ingredients, place in a bowl or container, and mix. All the ingredients, except for the papaya, was unsweetened. It was also the only ingredient I had to slice into small pieces (photo on the left). 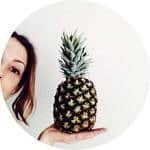 If you prefer all the fruits to be unsweetened, look for freeze dried fruits. They will be unsweetened and sulfur-free, making them a good option. The photo on the right are peanut butter pretzels. I added some into my mix as an afterthought (no photo). They ended up adding a nice texture, substance and good dose of saltiness. 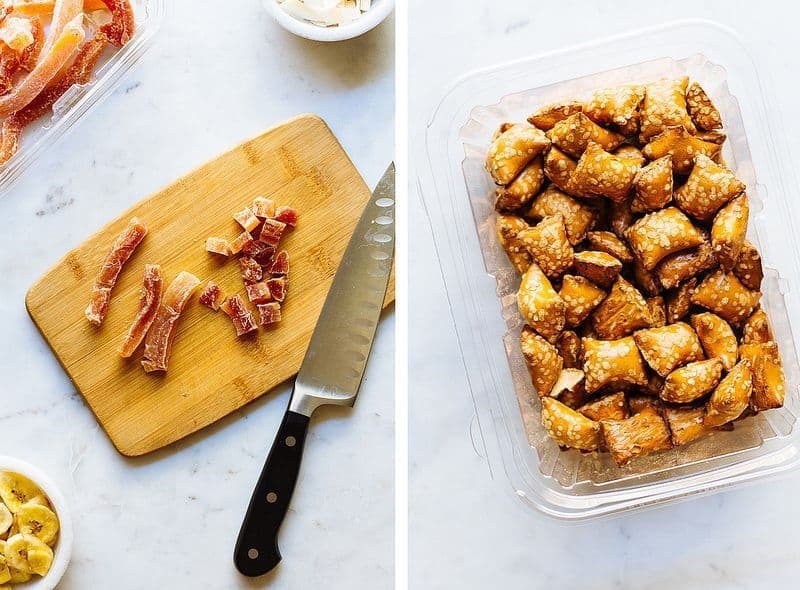 Some type pretzel is something you may consider adding to your batch (unless keeping with a gluten-free diet). Any small sized pretzel would do. Now, you have yourself a great snack bursting with flavor and wholesome goodness to enjoy anywhere, anytime! 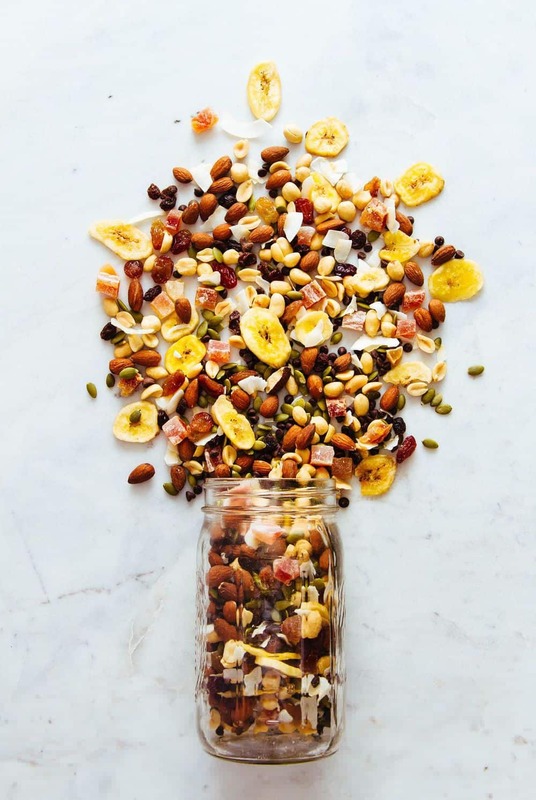 Ready in under 5 minutes, this Almost-Everything Trail Mix is loaded with a healthy mix of dried fruits and nuts for snacking anywhere and anytime. 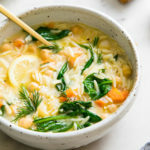 Place all the ingredients in a small to medium sized bowl and toss together. Makes about 3 1/2 – 4 cups. Serves 14 – 16. Serving size 1/4 cup. *If using shredded coconut, use the smaller amount suggested. If using large coconut flakes, as pictured, use the 1/2 cup suggested. **For the chocolate chips, if using mini-chips 1/4 cup will due. If using regular sized chocolate chips, 1/2 cup is good. I used these mini-chips. Feel free to substitute, add or subtract any ingredient to suit your taste.